BFMC celebrates its 2013 collection direct from the ateliar. Make an unforgettable entrance in a unique and glamorous satin gown. A full skirt, sheer black short sleeves, and beautifully tailored , off-shoulder bodice define the brilliant teal gown. A striking black belt with bow accents her waist. Classic underpinnings include black tulle petticoat and hose. Silvery jewelry adds a touch of sophisticated sparkle. 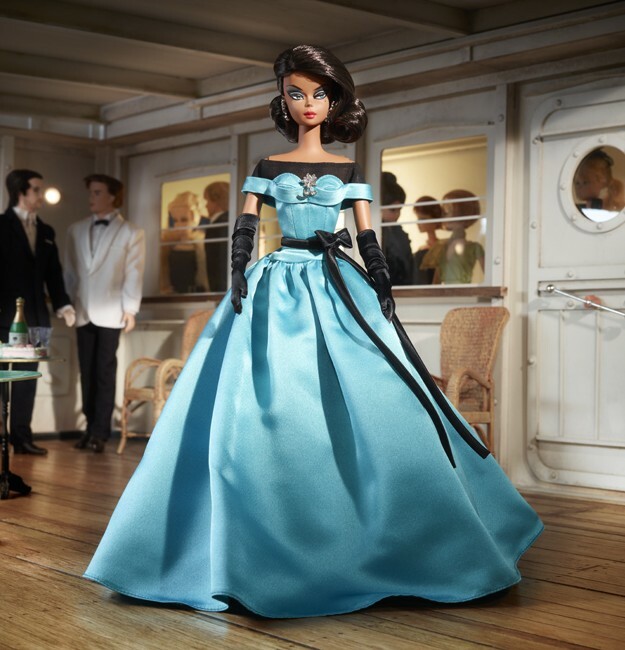 Included with doll: Stand, pumps, earrings, brooch, petticoat, tights,and gloves. 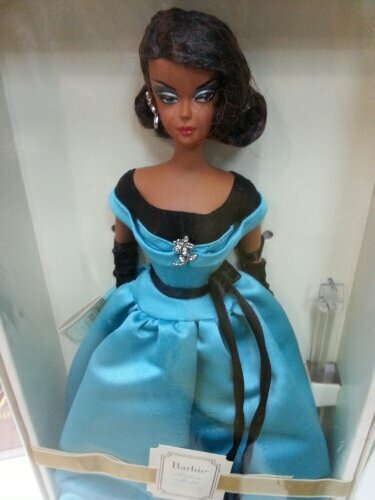 We have received the latest 2013 BFMC Gold Lable Silkstone Barbie, the Ball Gown Barbie X8275. In stock now at Toy Garden and Toywiz Malaysia for RM379.